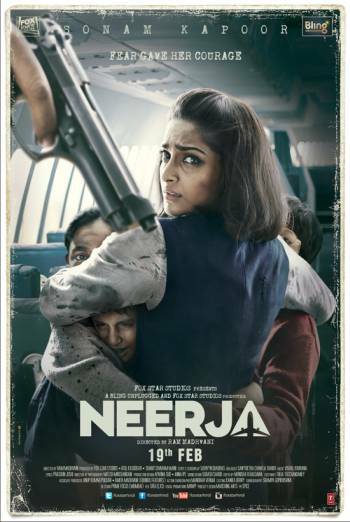 Summary NEERJA is a Hindi language drama thriller, based on real events involving the hijacking of a plane in 1986 and the brave role played by a young air hostess on the flight. NEERJA is a Hindi language drama thriller, based on real events involving the hijacking of a plane in 1986 and the brave role played by a young air hostess on the flight. There are scenes of strong violence in which airline passengers are shot dead by armed hijackers. There is some bloody detail of a passenger who has been shot in the head and multiple gun shootings of other characters. There is strong threat as armed terrorists hijack a grounded airliner and threaten cabin crew and passengers for a sustained period in the film. There is use of mild bad language ('bloody).